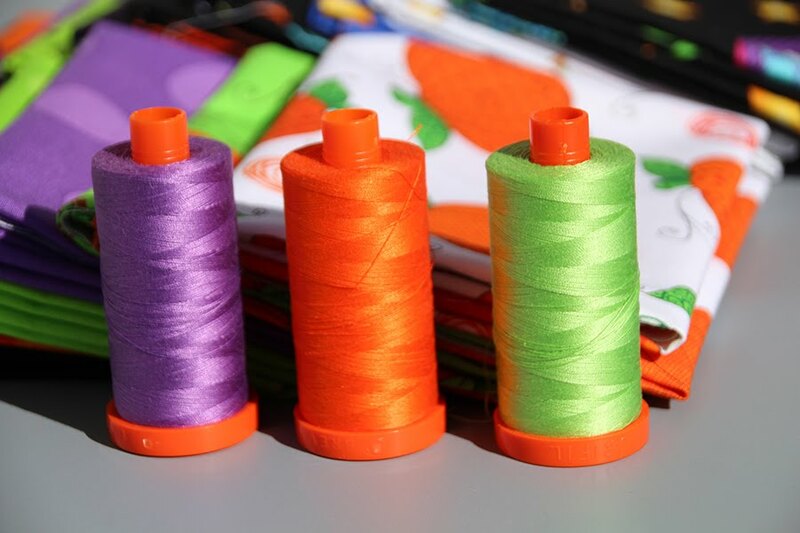 Congratulations for having a block in Quiltmakers 100 Blocks! And what a pretty and versatile block it is! Different and interesting quilt block! very nice block. so light and airy. Fun block!! Love seeing it in different colors. Thanks for the chance to win! I love the red for a valentine pillow. very nice. I really love this block, I know I'll be making this one. Thanks. Love your block and the many possibilities it holds. Oooh, I *do* like Zentangle. I'd wondered if it could be applied to quilting. It's different--and I really like it! I like the movement and whimsical feel of your block! Very cool block! Thanks for a chance to win a copy of the magazine. That is a beautiful block and Zentangles are fun and a great way to practice designs that we can use in our quilting too. Love your block. Perfect for Valentine's Day! Fun block! 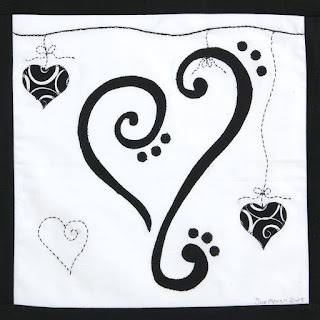 I've never done Zentangles, but it looks interesting and a good way to come up with some quilting designs. I love to tangle too; but, haven't tangled in awhile. Your block does remind me of a tangle or two. :-) Congrats! Simple yet fun! My granddaughters would love this design on their bed. The embroidery details are great! Great idea using your Zentangle for inspiration. Your block is lovely and inspiring all on its own! Thanks for joining in on the inspiration and giveaway! Your block IS perfect for Valentine's Day. And there's time enough to complete it after the holidays. I like how the look changes with different colors. Congrats on being in this issue! I always enjoy seeing variations and different borders - thanks! 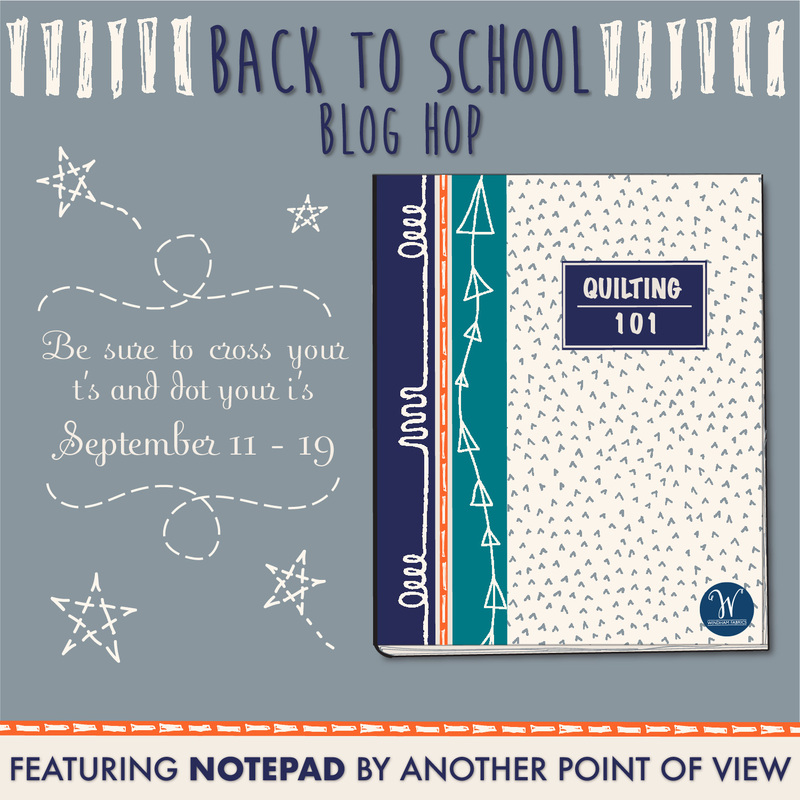 Love your block - it's just too cute! What fun - a great block! Awww, I love hearts!! Thanks for the opportunity to win. Congratulations,and thank you for the chance to win! Very cute! This is always such a great magazine, can't wait to see it! So gorgeous,and cool.Love all your layout! What a different and charming block. Love the red and white Valentine version. I really like this block for Valentines Day projects! I love your block, especially the valentine version. Your layouts are all very nice. Thanks for the chance to win. Cute block! I love the one in red best. Thanks for the giveaway. Congratulations. Your block is so cute and does remind me of the zen tangles. A very unusual & unique addition to 100 Blocks - I love it!!! Love your Zentangle block! Since I enjoy quilting smaller pieces, the pillow and wall hanging are perfect projects. Great Zentangle-type modern block...can be used in a variety of ways! Your block will make a great Valentine table topper. Minimalist block yields maximum impact! Great design. Thanks for the giveaway. Sweet block! I should take up applique again. Ah - cute block! I need to try some zentangle - it looks like fun. I love hearts! Yours is so nice. Thanks. So cute! Congratulations on getting it in the magazine! Thanks for the giveaway. Cute block. Thanks for the different ideas of ways to use it. Love your block! I just discovered Zentangle too and I am loving it. Sweet block! Love it! 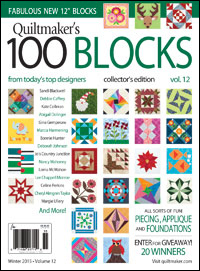 Congratulations on being in Quiltmaker's 100, Vol.12. Congratulations on being included in this issue! The 100 blocks magazine is always a great resource for me. What an elegant block...love it! I am not familar with zentangle, but like your block. I'm not sure what Zentangle is, but your block has definite musical qualities to it! Love your block! Very pretty! 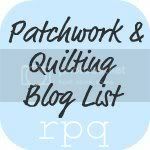 I love all the quilt maker 100 block books. Thanks for the giveaway! A very whimsical block indeed! Never done zentangle. Zentangle looks so interesting to me. I hadn't thought about using it for a quilt block. Thank you for a chance to win. I like how your block has a whimsy feel to it. my first quilt was your "Bubba Moose" . I still love your designs 10 years later. Love the zentangle look of your block! Great job! Your block is so sweet. I tried entangling once, but didn't come up with anything so cute as your design. I love it. Your block looks like a family to me… tall dad, the mom, and the child… very charming! Putting it on my to-do list! Congrats on your block!!!! Delightful! I'd love to be included in your giveaway.